Hop farms are popping up all over Colorado these days. 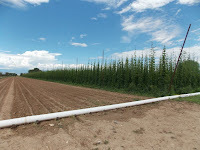 Some of the best hop growing is being done on the Western slope of Colorado, in particular around Olathe, CO. One hop farm is doing something no other hop farm in Colorado has yet to do - offer pelletized hops. That farm is Misty Mountain Hop Farm. 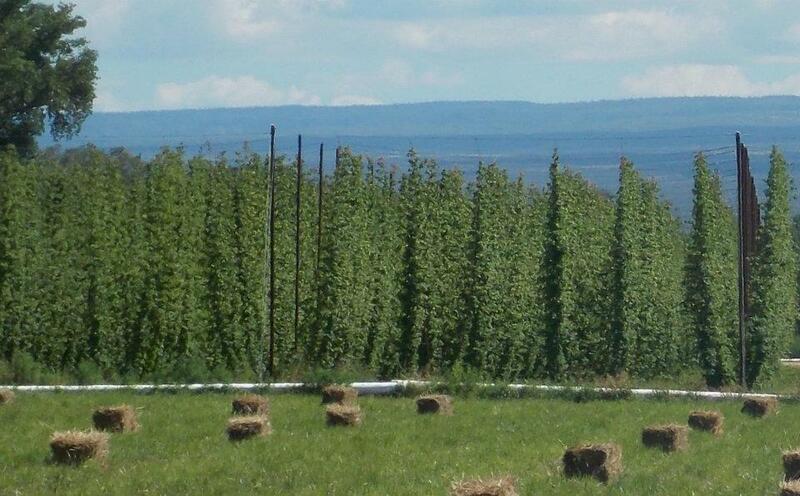 Read their press release from April 28, 2013 and see what's hopping at Colorado's largest hop farm. 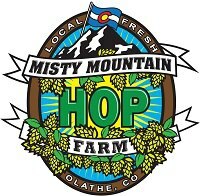 [PRESS RELEASE] Olathe, CO - In the few short years that Misty Mountain Hop Farm in Olathe, Colorado has existed (Est. 2009) big things have been happening for owners Ron and Pam Munger. 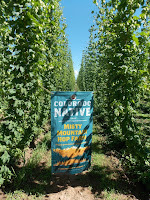 For starters, supplying hops to AC Golden (Miller/Coors) for brewing their all Colorado ingredients beer ‘Colorado Native’ isn't bad. Having hops brewed in beer by Wynkoop Brewing Co. and Tommyknocker Brewery winning awards at the Great American Beer Festival in 2011 and 2012 respectively is pretty cool. And producing hops with alphas that are at or near the top of the charts (more on that later) makes Misty Mountain Hop Farm the real deal. Misty Mountain Hop Farm is producing some of, if not the best hops in the state. Just ask AC Golden who recently hosted a luncheon for Colorado hop farmers and awarded Misty Mountain Hop Farm with the 2012 ‘Hop Grower of the Year’ award. Images courtesy Misty Mountain Hop Farm's Facebook page. 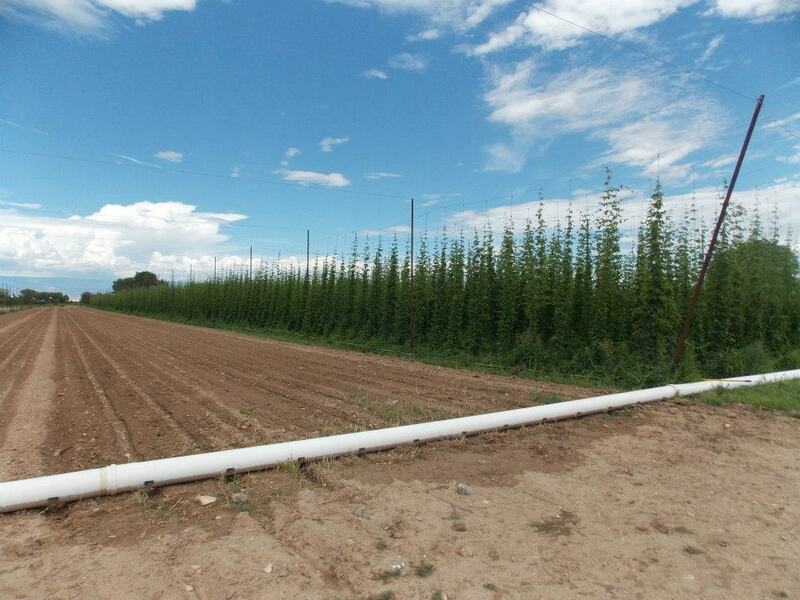 The number of Colorado breweries brewing with their hops is constantly growing, just like the farm itself. 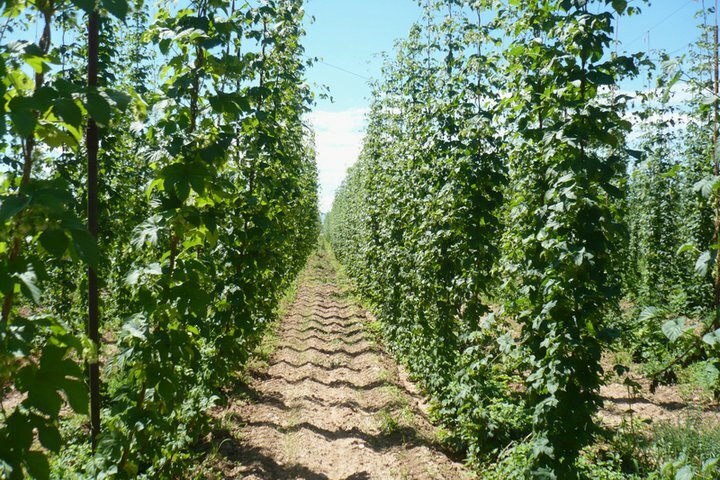 Currently the largest hop farm in Colorado, plans are in place to plant another eight acres and install a state of the art drip and fertilization system this Spring, offer more varieties of hops and make them available in all forms. 2013 is shaping up to be a banner year for Misty Mountain Hop Farm. 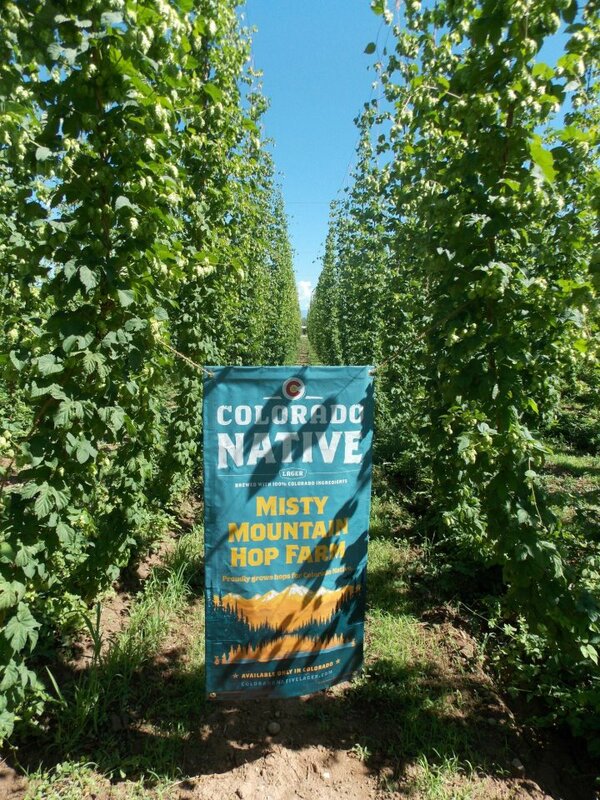 At this time Misty Mountain Hop Farm is the only hop producing farm in the state of Colorado to offer their hops in pellet form. 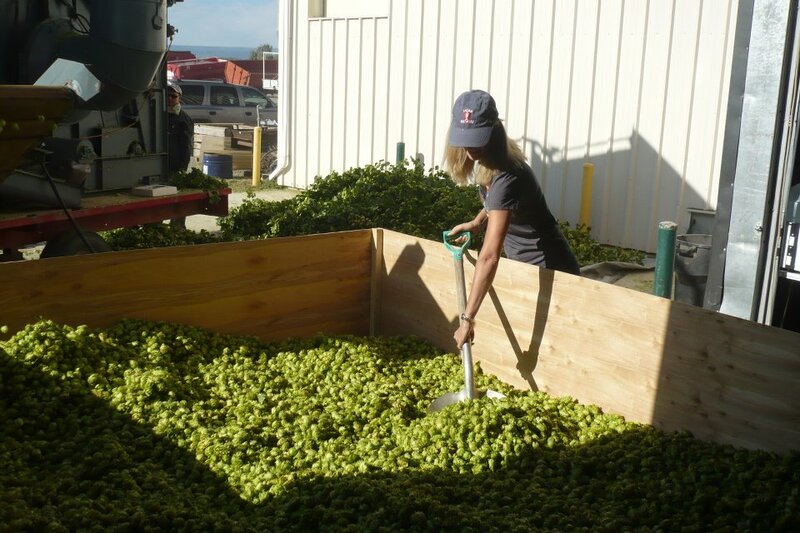 Wet hops are seasonal, fresh off the vine and brewed within 24 to 36 hours of being harvested. Whole Leaf hops are dried when harvested and stored in cold storage with a limited shelf life. Pelletizing hops (the most widely used of the three) is a process used to convert the dried Whole Leaf hop into pellet form and when properly stored can potentially last for years. Let’s talk about those alphas. Alpha acids (AA) the acidic make up of a hop is important for the bittering flavor it brings to a brew. Different hops have different levels of alphas ranging from 4% to as high as 14%. The five varieties of hops currently being grown at Misty Mountain Hop Farm (Cascade, Centennial, Chinook, Crystal and Nugget) come close to or exceed the average alpha standards set by the industry for each type of hop. With the launch of their new website (mmhopfarm.com) all the information about Misty Mountain Hop Farm, the hops they produce and their availability is easily accessible.